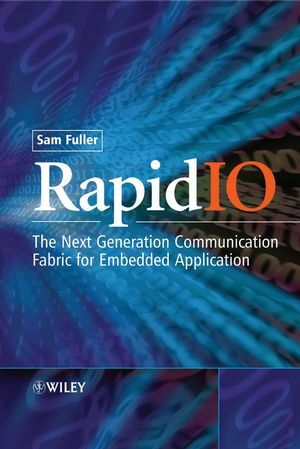 RapidIO - The Embedded System Interconnect brings together one essential volume on RapidIO interconnect technology, providing a major reference work for the evaluation and understanding of RapidIO. Covering essential aspects of the specification, it also answers most usage questions from both hardware and software engineers. It will also serve as a companion text to the specifications when developing or working with the RapidIO interconnect technology. Including the history of RapidIO and case of studies of RapidIO deployment, this really is the definitive reference guide for this new area of technology. Sam Fuller, President, RapidIO Trade Association, Austin, Texas, USA. Mr. Fuller is a founding member of the RapidIO Trade Association and now serves as full-time president of the open standards organization. Mr. Fuller writes for major publications such as EE Times and speaks frequently at major industry events on the subject of the RapidIO Interconnect technology. 1.1 Processor Performance and Bandwidth Growth. 1.4 Problems with Traditional Buses. 1.6 RapidIO: A New Approach. 1.7 Where Will it be Used? 2.5 Transaction Formats and Types. 2.10 The Parallel Physical Layer. 2.11 The Serial Physical Layer. 2.13 Maintenance and Error Management. 3 Devices, Switches, Transactions and Operations. 4.4 A Sample Read Operation. 6 System Level Addressing in RapidIO Systems. 6.4 Field Alignment and Definition. 7 The Serial Physical Layer. 7.3 PCS and PMA Layers. 7.4 Using the Serial Physical Layer. 7.5 Transaction and Packet Delivery Ordering Rules. 7.6 Error Detection and Recovery. 8 Parallel Physical Layer Protocol. 8.3 Control Symbol Transmission Alignment. 8.4 Packet Start and Control Symbol Delineation. 8.6 Field Placement and Definition. 9 Interoperating with PCI Technologies. 9.3 PCI-X to RapidIO Transaction Flow. 9.4 RapidIO to PCI Transaction Mapping. 9.5 Operation Ordering and Transaction Delivery. 9.6 Interactions with Globally Shared Memory. 9.7 Byte Lane and Byte Enable Usage. 10 RapidIO Bringup and Initialization Programming. 10.1 Overview of the System Bringup Process. 10.2 System Application Programming Interfaces. 11.4 Multicasting Transactions in RapidIO. 12 Data Streaming Logical Layer (Chuck Hill). 12.2 Type 9 Packet Format (Data Streaming Class). 12.4 Configuring Data Streaming Systems. 13 Applications of the RapidIO Interconnect Technology. 13.1 RapidIO in Storage Systems. 13.2 RapidIO in Cellular Wireless Infrastructure (Alan Gatherer and Peter Olanders). 13.3 Fault-tolerant Systems and RapidIO (Victor Menasce). 14 Developing RapidIO Hardware (Richard O’Connor). 14.2 Implementing a RapidIO End Point. 14.4 Implementing a RapidIO Switch. 15 Implementation Benefits of the RapidIO Interconnect Technology in FPGAs (Nupur Shah). 15.2 Advances in FPGA Technology. 15.3 Multiprotocol Support for the Embedded Environment. 16 Application of RapidIO to Mechanical Environments (David Wickliff). 16.1 Helpful Features for Mechanical Environments. 16.3 Industry Standard Mechanical Platforms Supporting RapidIO. Appendix A: RapidIO Logical and Transport Layer Registers. A.1 Reserved Register and Bit Behavior. A.3 Command and Status Registers (CSRs). A.4 Extended Features Data Structure. Appendix B: Serial Physical Layer Registers. B.1 Generic End Point Devices. B.2 Generic End Point Devices: Software-assisted Error Recovery Option. Appendix C: Parallel Physical Layer Registers. C.1 Generic End Point Devices. C.2 Generic End Point Devices: Software-assisted Error Recovery Option. Appendix D: Error Management Extensions Registers. D.1 Additions to Existing Registers. D.2 New Error Management Register.